Price: $104.00 (regularly $124.00) 16% Off! Enjoy the “City of Lights” from the best view possible…THE SKY! 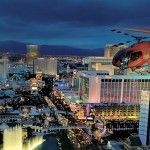 Vegas Nights is an amazing helicopter tour flying over the megaresorts of the Las Vegas Strip from the New York-New York skyline to the Bellagio fountains and the never-fading light of the Luxor pyramid. Prior to your departure from our Las Vegas terminal, you will be served champagne. 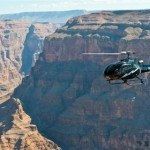 Then, you will experience breathtaking sights from inside our ECO-Star helicopter, the “limousine of the sky”. 8:15pm — Flight departure over Las Vegas Strip, including downtown and Fremont Street Experience. 8:30pm — Arrive back at Maverick's Strip terminal. 9:00pm — Arrive back at hotel.